You are invited to promote Interflora, Australia's leading floral company providing high quality flowers at competitive prices. Interflora is a household name when it comes to sending flowers as gifts to all locations of Australia and overseas. We cover all the major cities, plus lots of smaller towns and outback areas. The largest network of expert florists, a recognised brand and an unbeatable reputation are just some of the reasons why our customers choose Interflora time, and time, again. 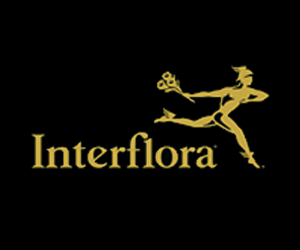 Interflora's integrity is supported by the Interflora Guarantee which assures the freshness, flower quality and value of each Interflora relay order. Flowers are the ubiquitous gifts for all occasions. We also have a large range of plants, hampers and terrariums. Some retailers have their own policies and restrictions. Before shopping, please ensure you review the Special Terms of Interflora (above) for further information. Complete your purchase in one session and without leaving Interflora. Do not click on any bookmarks or advertising banners or links once you leave ANZ Bonus Points Mall. Delivery is usually available within 24 hours, but occasionally may be longer, depending on time zones and local conditions. Some areas in some countries (including Australia) are classified as restricted delivery areas. Deliveries to these locations may take up to 48 hours. Delivery within Australia and the rest of the world is not guaranteed on Public Holidays, Saturday after midday or Sundays. Same day delivery within Australia from Monday to Friday is possible as long as the order is placed before 2pm in the recipient’s time zone. We accept Visa, Visa Electron, MasterCard, American Express, Maestro and PayPal. We will make every effort possible to realistically put in place any changes to your order, as long as the order has not yet been dispatched for delivery. Should you have any changes to your order, please email one our customer service consultants at help@interflora.com.au or contact the Interflora Flowerline on 1800 808 500 (available in Australia only) and please ensure that you have your order number handy.